The Firehouse Inn is located in historic downtown Barre, Vermont. 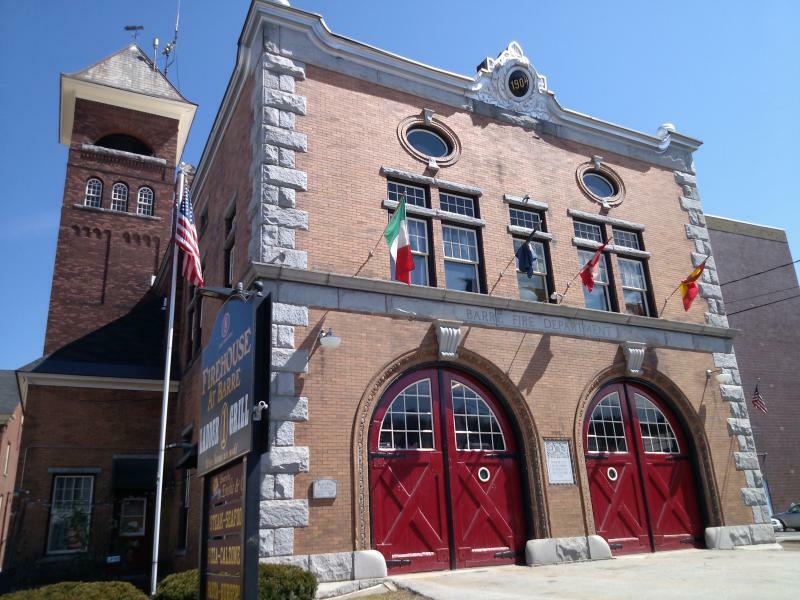 Originally built in 1904, the Victorian Queen-Anne style Firehouse was a fully operational fire department until it was sold in 2007, as it could not accomodate the needs of the City. Over the past six years, the firehouse has been completely renovated and restored. Although there has been some renovations, the firehouse still holds it's original appeal and charm. The historic ornate fire engine red double doors are a staple to the firehouse, as well as the amazing white subway tile walls inside. The firehouse was transformed into the Inn, in the Spring of 2013. The Inn specializes in business travel and welcomes leisure travelers as well. The luxury accomodations are located on the 2nd floor of the building. There are two One Bedroom Suites and two Studio Suites. All four rooms have Cable TV, Wifi, A/C, Queen beds, kitchenettes, private baths and living area. The One Bedroom Suites have a larger living area and larger kitchen with bar seating. The main floor is home to the Ladder 1 Grill and Pub. This restaurant received The Small Business of Year Award from the SBA presented by the Governor in 2011. The menu has over 150 items from burgers and steaks to salads and brick oven pizza. There is a great courtyard out front for outdoor dining. We can be reached at 802-476-2167 or cell 802-461-5337.